Making my way to Montreal on a very high tech snail provided by VIA Rail Canada, I could not have been more excited for the 16th annual Fantasia International Film Festival to kick-off. My preference in film has always been horror, but I’m open to viewing nearly anything. However, nothing could prepare me for the opening night film, For Love’s Sake. Billed as a violent and comedic musical, on paper For Love’s Sake sounded insane and like nothing I had ever seen before. The trepidation that I was feeling for a screening this odd was ratcheted up to full blown excitement when I discovered that it was directed by Fantasia veteran, Takashi Miike. Adapted from the manga Ai To Makoto, created by Ikki Kajiwara, For Love’s Sake tells the story of Ai (Emi Takei) and Makoto (Satoshi Tsumabuki), who keep meeting under the strangest circumstances. The first time they met, when they were young children years, Makoto saved Ai from a trip down the ski slopes which very well could have ended Ai’s life if Makoto had not intervened. Despite his good deed, Ai and Makoto don’t really get along. Ai certainly tries to get along with Makoto, but the fact that she comes from a wealthy family and is at the top of her class seems to put-off the hardened Makoto, who is really the polar-opposite of Ai. Makoto is angry, rude, poor, but his worst trait is certainly his penchant for solving problems with his fists. In fact when Makoto and Ai meet for the second time, nearly a decade after the skiing accident, it is in the midst of a Grease/West Side Story gang confrontation in which Makoto brutalizes a large group of young men, while also singing a song. Did you forget it was a musical? Recognizing the violent young man and dedicating herself to him immediately, Ai decides that she will do anything in her power to save Makoto from himself. As suspicious as I initially was about attending the screening of a musical, I have to say that overall For Love’s Sake was pleasantly surprising. The first musical number was used to introduce present-day Makoto and Ai, but it was a little underwhelming, making me think I was in for a long night. However, subsequent numbers were some of the most entertaining bits of comedic filmmaking that I have seen in a while. Specifically, the hopelessly romantic student (Takumi Saito), who would pursue Ai to the end of the earth, and a powerful brawler (Tsuyoshi Ihara) provided some of the biggest laughs with their intentionally ridiculous performances. Despite this incredible entertainment, For Love’s Sake does not speed by. At 133 minutes it feels like it could have lost up to 30 minutes in the writing phase or in the editing room. Also of concern is the almost complete disappearance of the musical numbers from the second half of the film. I understand that Miike is legendary for mixing genres and giving audiences an original movie experience, but For Love’s Sake was working so well as a musical that it was really disappointing to see it completely switch gears. 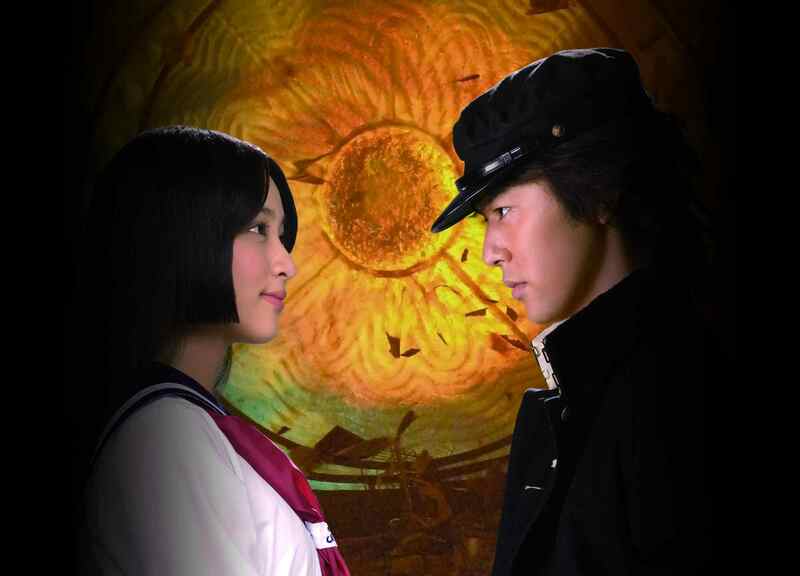 Worth checking out for fans of Miike and those who would like to see a violent musical, For Love’s Sake was certainly an interesting experience at the cinema. I’ll remember the energetic and hilarious first half for years, but I wish I could say the same about the rest of it.